The University of Pavia is the oldest in the Italian Lombardia region, and among the oldest in the whole Europe. It dates back to the year 825 a.C. an edict from the Emperor Lotarius to establish in Pavia the rethorical school reserved to governmental officers; the Studium Generale was established by Charles IV in 1361. Among the periods of greatest success for the University of Pavia is the Eighteenth Century, with the radical renovation supported by the Ausburg family. Most of the historical collections presently stored in the University museums are an heritage of that glorious period. The Emperor Maria Theresa of Austria and her successor Joseph II took an active role in the flourishing rebirth of the ancient University, supporting new educational and scientific methods (through an educational plan in 1771, and a scientific plan in 1773). Thanks to their initiatives, the University of Pavia became one of the most important in Europe; scientists of great fame were called to Pavia, lectures began to be given in Italian, and the University was supplied with a great library, rooms, museums, and scientific laboratories to give support the new educational plan, based on the experimental method. The beginning of research activities in Physics at the University of Pavia can be traced back to the teaching of Gerolamo Cardano (1501-1576). 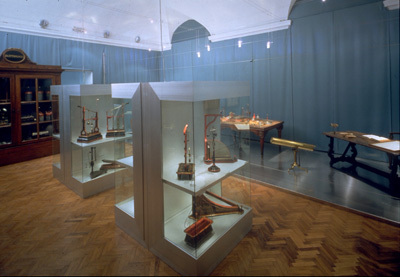 The first chair in experimental Physics was established in 1742, while starting from 1771 (within the Ausburg educational plan) the Physics Cabinet was founded. Initially, the Cabinet was set in the main building of the University, downtown Pavia, and it was directed by Carlo Barletti (1735-1800), appointed Professor of experimental Physics in 1772. The cabinet developed especially under the direction of Alessandro Volta, who was already famous for the invention of the electrophorus and for having discovered the methane. Volta was called in 1778 to take Barletti's place, who was in the meantime given the chair of General Physics. In 1804 Volta left his teaching chair to Pietro Configliachi (1777-1844), although he continued to attend the cabinet until 1819. After Configliachi, who went on until 1842, the Physics Cabinet was directed until 1860 from Giuseppe Belli (1791-1869), then from Giovanni Cantoni (1818-1897) until 1893, Adolfo Bartoli (1851-1896) until 1896, Michele Cantone (1857-1932) until 1905, and Enrico Salvioni (1863-1936) until 1923. 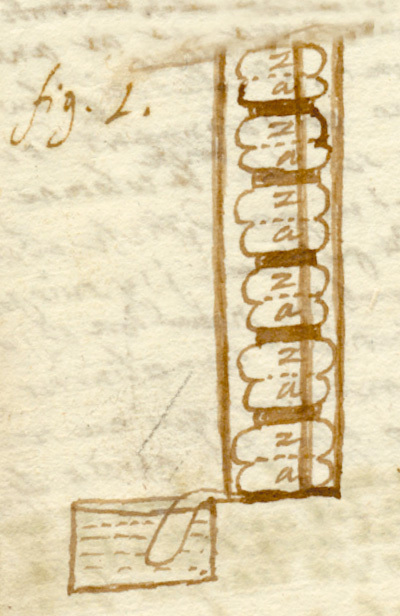 In 1880 the research activity in Physics was reorganized in the new born Institute of Experimental Physics "Alessandro Volta". During the first thirty years of the Twentieth Century the Institute was under the direction of Enrico Salvioni (dir. 1905-1923), Alessandro Amerio (1876-1965, dir. 1924-1928), Adolfo Campetti (1866-1947, dir. 1929-1936). In the meantime, the need for new spaces was urged from the increasing expansion of several institutes within the University of Pavia. In 1933, a law assigned the University of Pavia with consistent fundings to build new Institute headquarters. Works began in 1934 and were concluded quite quickly, so that three new buildings could host the Institutes of Physiology, Chemistry, Physics and Mineralogy. The Institute of Experimental Physics moved in 1936 to the new headquarter, and it is still there today. A great boost modernity is due to Rita Brunetti (1890-1942), who was called as director of the Institute in 1936. She put a lot of efforts towards the development of the Institute in its new building, to the strengthening of its general installations, completion of educational tools for teaching spectroscopic techniques, which were already quite well developed under the previous director. The research activity was also directed towards the new area of Nuclear Physics. Parts of a proton accelerator were bought in 1938, whose power supply could be completed only in 1941. Rita Brunetti was followed by Orazio Specchia in 1942, who decided to dismiss and hide the accelerator to avoid it to be confiscated. 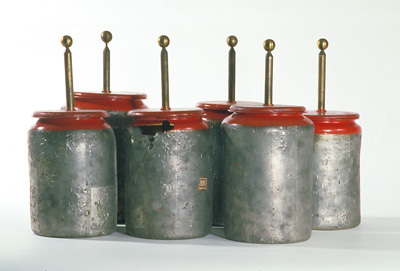 After World War 2, the hidden instruments were recovered and new ones were bought, sometimes also using some material left from the American allies or donated within the European Recovery Programme (Marshall Plan). In 1956 a report on the switching-on test of the accelerator was presented at the Lombard Institute. Since 1946, around Luigi Giulotto (1911-1986) began to gather a group of research in Physics of Matter. During the fifties, this research line was complemented by research activity in Solid State Physics. The project was to raise a group on both theory and experiment around the figures of Giulotto on one side, and Fausto Fumi (who became director of the new Institute of Theoretical Physics in 1957) on the other. The project failed within two years, because the researchers around them began to move to other University institutions. These scientists contributed to spread the study of Solid State Physics in Italy, and gave a fundamental contribution to set the basis for the constitution of the National Group on the Structure of Matter (GNSM) within the National Research Council (CNR) first, and of the National Institute for the Physics of Matter (INFM). At the end of the fifties the interest on the important area of Semiconductor Physics began also in Pavia. Concerning the Nuclear Physics, there was a turning point when Alberto Gigli was called in Pavia in 1962. He obtained the creation of a group linked to the National Institute for Nuclear Physics (INFN) in 1963. In the same year, the Institute for Experimental Physics, whose director was Giulotto (dir. 1951-1960), and the Institute of Advanced Physics, which was born in 1951 and whose director was Gianni Bonera (dir. 1960-1963), were dismissed. In their place, there was the constitution of the Institute of Nuclear Physics with Gigli director, and the Institute of General Physics with Giulotto director. The birth of the Department of Physics A. Volta (DFAV) and the Department of Nuclear and Theoretical Physics (DFNT) dates back to 1982, according to the law on the University reformation n. 382 of 1980. Since then, directors of the DFAV have been Attilio Rigamonti (1982-1985), Giuseppe Lanzi (1985-1991), Giorgio Guizzetti (1991-1997), Giorgio Samoggia (1997-2000), Fabio Bevilacqua (2000-2003), Carlo Bruno Azzoni (2003-2007), Lucio Claudio Andreani (2007-2012). Directors of the DFNT have been Giorgio Goggi (1982-1987), Alberto Rimini (1987-1989), Adalberto Piazzoli (1989-1995), Sigfrido Boffi (1995-2001), Domenico Scannicchio (2001-2007), Michele Livan (2007-2012). Since March 1st, 2012, according to the university reformation no. 240 of 2010, the DFAV and DFNT join into the Department of Physics, whose Director is Michele Livan (2012-2013), then Alberto Rotondi (2013-).